Macau casinos will not see a substantial increase in gaming revenue when the HKZM bridge connecting the enclave to Hong Kong opens later this year. 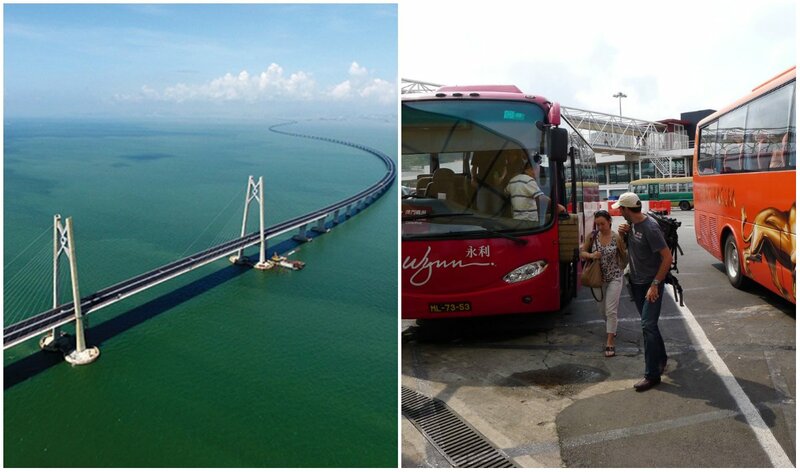 The 34-mile connection that spans across the Pearl River Delta will cut travel time from Hong Kong to Macau to just 40 minutes. 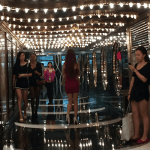 But with casino busses prohibited, and border customs required for entry in either direction, analysts predict the infrastructure feat will have little to no impact on Macau’s casino floors. Visitation trends aren’t going to change over the short term,” Govertsen concluded. Authorities haven’t set an official opening date for the HKZM bridge, but the Macau government is accepting permit applications for permanent residents who regularly work in Hong Kong. Macau plans to issue 600 permits at a cost of MOP 30,000 ($3,710) per year, per vehicle. Construction began on the bridge in 2009, and has cost more than $15 billion. Macau GGR is up 20 percent through May, and the six licensed casino operators remain bullish on the future of the enclave. Sheldon Adelson’s Sands China has invested well over $10 billion dollars in Cotai, and the casino tycoon said recently that there remains “tremendous opportunity” in the region. Sands is currently spending $1.1 billion to renovate Cotai Central. SJM Holdings is spending $4.6 billion to build its first integrated casino resort in Cotai known as Grand Lisboa Palace. City of Dreams is adding a hotel tower at a cost of $1.1 billion, and MGM Cotai, a $3.4 billion mega resort, opened in February. The key to supporting such investments is not only returning VIP play that vanished during China’s crackdown on junkets between 2014 and 2016, but also attracting more of the mass crowd. While high rollers typically arrive in Macau via chartered flights or yachts, the general public does not. Connecting Macau to Hong Kong — with the latter home to the world’s eighth-busiest airport in terms of passenger traffic — would make visiting the enclave that much easier. The Macau Transportation Bureau says casino shuttles will initially be banned from the HKZM bridge. 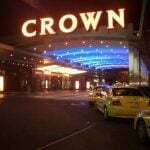 But the agency added that it’s open to future discussions regarding the possibility of allowing a joint casino bus to utilize the crossing. The bridge was approved with the goal of developing nearby areas of southern China. With Hong Kong’s airport now easily accessible, MICE events (meetings, incentives, conferences, and exhibitions) are expected to grow throughout the region. 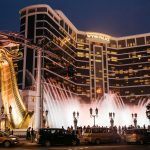 “What Macau hasn’t had is easy access to Hong Kong’s airport, and the bridge opening is a game-changer in that respect,” Govertsen told GGRAsia. 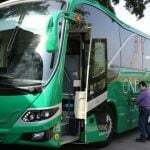 Casino shuttles won’t be able to run back and forth between Hong Kong and Macau transporting day-trip visitors, but large business conventions will presumably be able to hire transportation companies that obtain bridge permits. Companies must be registered in Macau and have a 50 percent holding share in a subsidiary company in Hong Kong to receive a bridge crossing permit.